#20YrsLtr: Doe or Die takes a deep dive into the history and biography of rapper AZ, showcasing the making and impact of his classic debut album Doe or Die. Narrated by Rakim, the uniquely crafted and well-reviewed documentary sees hip hop heavyweights Nas, Raekwon, Foxy Brown, DJ Premier, Pete Rock and Wendy Williams present an unprecedented look at 90’s hip hop and the golden era. 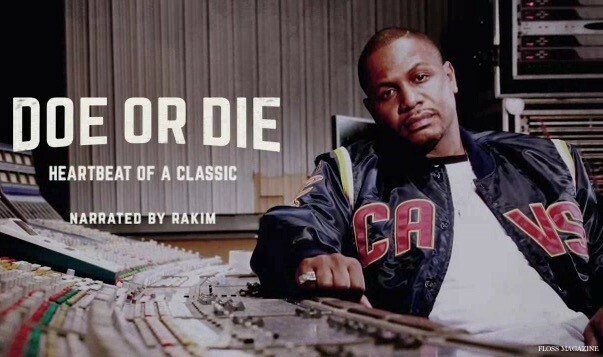 Directed, produced and written by millennial storyteller, De’Juan Galloway; viewers will also go inside a recording session of Doe or Die II and get a first-look at what’s next for the legendary MC. BET’s #20YrsLtr is an innovative multi-platform program; that reviews the impact of seminal works of art across the media spectrum, 20 years later. The program aims to celebrate culture shifting albums, films, news stories and books; sparking nostalgia for one segment of the audience and edutainment for the younger segment.